Amit Kumar Agarwal, CEO and co-founder of NoBroker.com, said the funding will help it grow its customer base that has increased to 650,000 from 35,000 over the past 12 months. “We have seen this growth despite us moving from a free to a subscription-based fee model,” he said. Agarwal claimed that the company’s revenue is doubling every month and that the focus now is to turn profitable next year. 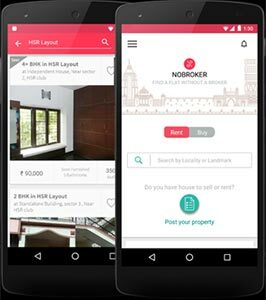 NoBroker’s immediate rival Grabhouse.com had raised $10 million (Rs 65 crore) in a Series B round of funding from existing investors Sequoia Capital and Kalaari Capital in October 2015. Zocalo.in, another brokerage-free listing platform for rentals and paying guest accommodation, had raised an undisclosed amount in seed funding from startup accelerator GSF’s Rajesh Sawhney, MakeMyTrip co-founder Sachin Bhatia and others in August last year.